Some of these are definitely for the glove box or the backpack!! This page shows a selection that we feel would be of interest. Should you require a different title we will see if we can get it for you. Please use the Feedback form to make your request and we will see what can be done. No guarantees but we will try. Your Bookshop - browse all the shelves. Enjoy! There are a large number of books by the premier cycling organisation - Sustrans. Here is a taste. Becoming a favourite - World Without End by Ken Follett, the sequel to Pillars of the Earth. Stonehenge is a wonderful, mysterious place. Some intriguing titles. The answers? Solving Stonehenge: The New Key to an Ancient Enigma and many more books on these enigmatic stones ! Devon with its stunning coast, rural villages, towns and wild, wild moorland. Want some more Books about Devon? Dorset such a beautiful county from its lovely coast to its delightful rural north. Want some more Books about Dorset? Hampshire an ancient and captivating county. Want some more books about Hampshire? Isle of Wight an island that is a microcosm of delight. 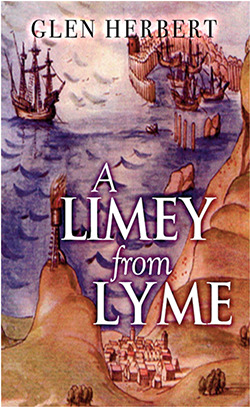 Want some more books about The Isle of Wight? Wiltshire rolling hills, wide open country, little hidden villages, beautiful Salisbury and so much more. Wiltshire Stories of the Supernatural keeps you on the edge of your seat! Want some more books about Wiltshire? Somerset Bath, Wells, Quantocks, Mendips, lakes, fishing, green, green hills. Don't Tell I, Tell 'Ee! An affectionate look at the Somerset dialect Wonderful. How to Survive in Somerset Warm and entertaining, particularly for those who know Somerset! Somerset: A Chilling History of Crime and Punishment (Crime & Punishment) - gripping! The Somerset Wetlands: An Ever Changing Environment - for the coffee table, authoritative. Wamt some more books about Somerset? Winchester, the ancient capital of Wessex and England. Winchester Curiosities You could walk by these fascinating age old fragments and not see them. Southampton City of the liners, an ancient, but modern port city. Southampton's Cult Heroes: Saints' 20 Greatest Icons One for the Saints supporters! Portsmouth home of the historic Naval Dockyard. Portsmouth Football Club on This Day: History, Facts and Figures from Every Day of the Year (On This Day) Play Up Pompey!!! One for the fans. Bournemouth a beautiful seaside resort. Exploring the Bournemouth Coast Path (Long Distance Walking Guide) This is a beautiful walk. Bournemouth Trolleybuses (Trolleybus Classics) One for the transport buff! Weymouth a favourite seaside destinations for generations of families. Plymouth the town from which the modern world was formed. Plymouth, An Illustrated History still the book on Plymouth. Exeter the county town of Devon, a bustling and modern city. The Wild Cats of Exeter (Domesday) historical fiction set in Exeter. Bristol a bustling port city with a major airport nearby. Cannot go past this book for a history of this maritime city. Secret Underground Bristol There's something down there.....huh! Bath the spa city with its lovely cathedral. Bath A stunning coffee table book. Make a good present. Or click the back button to return to your previous page. Or you might fancy browsing some of the other pages on the site. Please do. Click one of the buttons above on the left. Here we will highlight the latest books by local authors. A new book by a local author, Glen Herbert. follows boatman Glen Herbert”s travels, mainly around the Americas. He takes in The Deep South, Southern hospitality, and the divide between states in his quest for adventure. Alongside his own journey, a whirlwind tour of history is given, blending past and present. Glen Herbert was a boatman at the Cobb in Lyme Regis, where he took tourists on boat trips during the summer months and travelled the world out of season, mainly to the Americas. He is currently a teacher living in Salisbury, England and intends to get a bigger boat. A new book by local author, Joan Hollingsworth. Entertaining and recommended for those thinking of moving to the Continent. Many folk feel the need to leave the British winter behind and find warmth in the sun. Some decide to make a sunny clime their home. Others love the idea of restoring an old property on the Continent. This interesting and intriguing book by local author, Joan Hollingsworth, illustrates over three years their adventures in relocating to the Continent in two countries. Joan to an apartment in sunny Cyprus and Pat to a restoration project in France. A new book by Wilhelmina Wolff. Enchanting and poignant. Innocence in the midst of war. 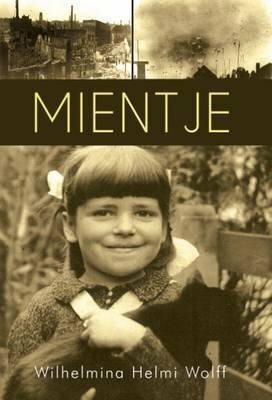 Meintje is a child of World War II living in Holland and in 1939 she is four years old. This poignant book relives memories during the war from that child's point of view. Enchanting and innocent, but horrific as one realises the import of the background to devastating incidents and events. The Gestapo, starvation, bombing, the Resistance Movement. All told from the memories of innocent childhood right through to the Liberation in 1945. A beautiful exquisite book.